Many times, the first employer that reaches out and engages a potential new employee has the advantage in the hiring process. That’s why it is so important to use a simple, text-based system that immediately engages your potential employee and keeps them engaged throughout the process in real time. No product accomplishes that better and easier than JobLure™. 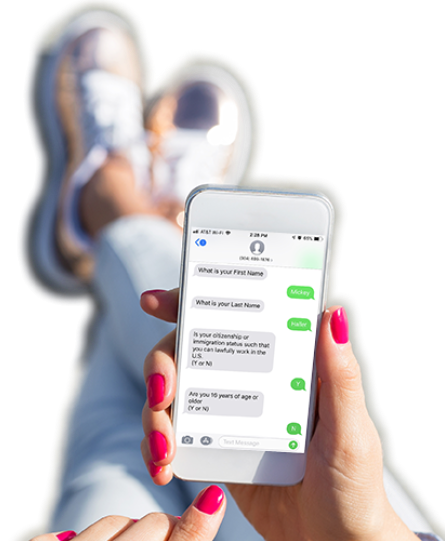 Your future employees send and receive text messages to friends and family throughout the day. They are immediately alerted when a text message comes in. Therefore, there is no more immediate way to interact with potential future employees. Most people today are constantly multi-tasking. As a result, their attention span may be short. It is imperative to grab their attention with a very simple system that will allow them to engage with your company in very short bursts. JobLure™ is designed to do just that. Speed is vital. There is literally a race to success when seeking new employees. Exposing an applicant to a long, intimidating application form right out of the gate is a real turnoff to most applicants. JobLure™ is different. JobLure™ asks 6 simple questions. Most can be answered with a simple “yes” or “no”. Once the 6 simple questions have been answered, you can immediately choose to set up an interview day and time with the applicant (assuming the 6 answers met your qualifications). 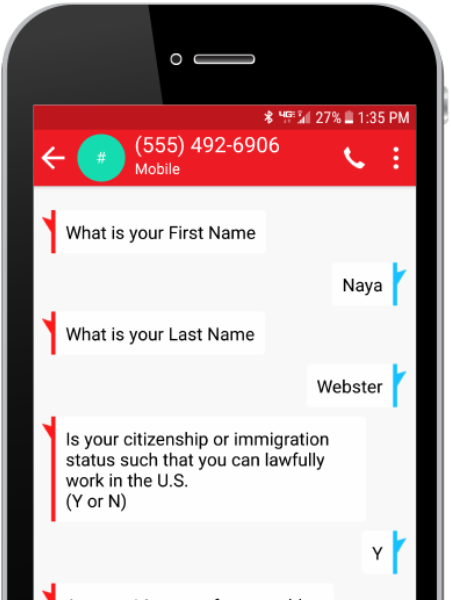 If you are convinced that this applicant is a good match, you can even complete the process by setting up an orientation time all within the same text thread! $2.00 per Application. End of Story. Low Cost. No Risk. High Potential. Low Cost. No Risk. High Potential. JobLure™ has no pricing strings attached. Start when you want and stop whenever you want. The cost structure could not be more simple. After a one-time start-up fee, there’s just a $2.00 fee for each application that completes the JobLure™ process. That’s it. No hidden fees. No complicated plans. Just $2.00 per application. You can even set up a monthly budget so you are in total control of the costs associated with using JobLure™. OK. I’m convinced. What are the next steps? Simply click on the "Request Info" button and we'll show you how easy it is to use JobLure™. After that, we can sign you up in a jiffy. Remember, there is NO CONTRACT and you can cancel at any time. JobLure™ was developed by the visionary team at Valley Tech, LLC. We are a diversified company that includes tech professionals as well as a team of executives with decades of experience in the fast food and fast casual restaurant business. As a result, when it comes to the challenge of finding and keeping employees, we get it! That's why we charged our tech team with finding the best way to shorten the process of bringing applicants into the funnel without losing them mid-process. 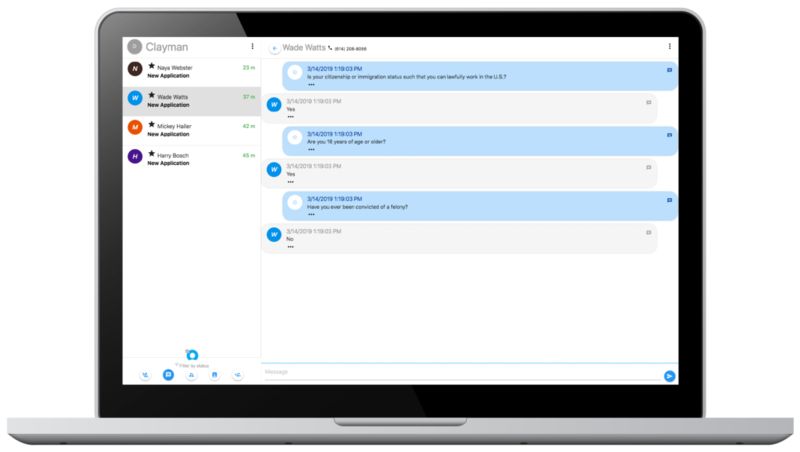 Our solution – JobLure™ is a real-world solution that we know works because we are already successfully using it for our businesses. Have questions, comments, or concerns? Fill out the form below or email us directly at sales@joblure.com. We'll do everything we can to respond quickly. © 2019 Valley Tech, LLC, All rights reserved.